Kathi has learned much about how the universe works with the innate wisdom within our bodies to heal, to transform, and to manifest our desires. Relax, enjoy and smile as you discover the innate wisdom within your body to heal, to ... See More release inevitable endings, to embrace the beauty in your world, and to spark your transformation. It is your time! The Kathi Pickett Show 23 What's Energy Medicine? What Can It Do for You? 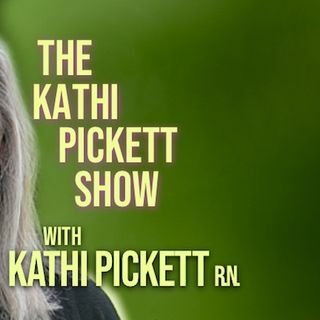 The Kathi Pickett Show 22 What Happens with our Loved Ones When They Die? The Kathi Pickett Show 18 How Do You Know If You Are Having a Spiritual Crisis? The Kathi Pickett Show 17 Do Our Pets Enter the Afterlife when they Die?